Keegen Card Holding Hand: Sometimes Fingers are Over-rated! 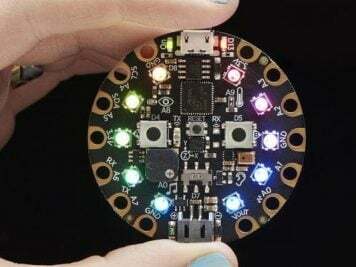 #maketheworld #3DThursday #3DPrinting « Adafruit Industries – Makers, hackers, artists, designers and engineers! Here’s an update from the e-NABLE open prosthetics community: Sometimes Fingers are Over-rated! 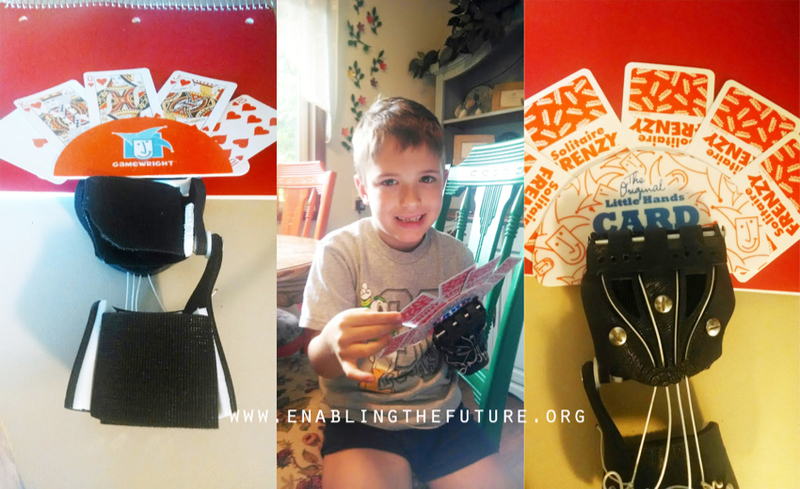 Yesterday, one of our e-NABLE parents asked the group if someone could design a hand that would allow her son to hold his cards easier – because while the current e-NABLE designs work well as tools for some things – they just wont work well for other activities like holding a hand of cards. And thus – the Keegen Card Holding hand is born! 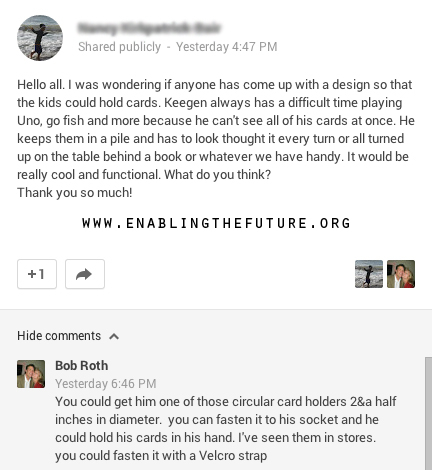 One of the most amazing things about the e-NABLE community is that we are able to ask questions like this and get access to over 1000 minds who are constantly thinking of ways to make these devices easier and more practical to use, who have “ah-HAH!” moments on a regular basis and who are genuinely interested and get excited about helping other people. Sometimes Fingers are over rated! Read more about this story and its implications over at Enablingthefuture.org.